Home > News > Culture & Entertainment > Theatre > The ever popular Oliver! This ever popular show is being performed by Knutsford Musical Theatre Company early in the New Year. Rehearsals are well underway and the children are really enjoying the challenge. For some of them it is first time on stage, while others are experienced performers. 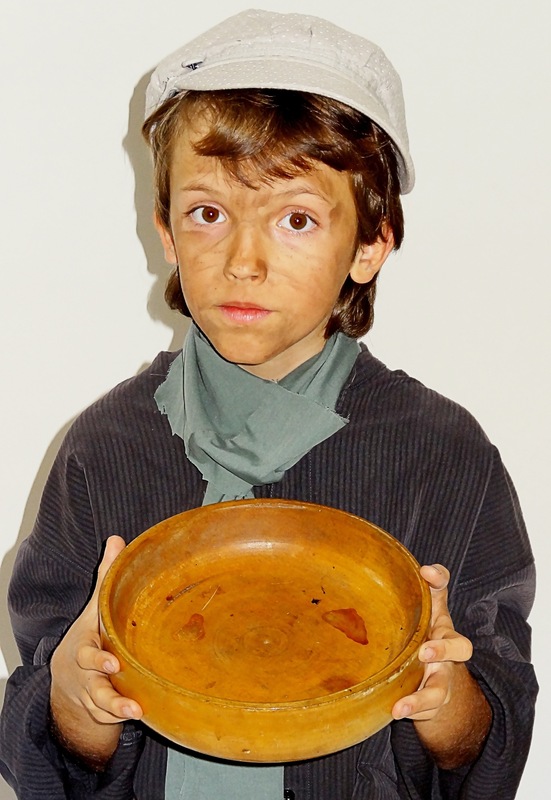 Toby Abbott (10) from High Legh, is playing Oliver. It is his first major role but he has been performing since he was 5, at Stagecoach, Northwich, Theatre School. Toby says “I am really looking forward to playing Oliver as it is a once in a lifetime chance. I am the right age and height, and I really enjoy singing”. Why not come and meet the cast at the Knutsford Christmas Lights Switch-On, on Friday 30th November. Tickets are now on sale and can be purchased online from the website, or by phoning our Ticket Secretary.